The College of Sciences and Mathematics (COSAM) Leaders hosted a Welcome Back Breakfast for students on Friday, January 18, in Student Services. “This is a great welcome back because it brings everyone together in COSAM,” explained Tristan Hazebrook, a junior majoring in Laboratory Sciences. Students enjoyed pastries, bagels, fruit, coffee and orange juice. They also had the opportunity to purchase the new COSAM T-shirt designed by Daniel Udochi. 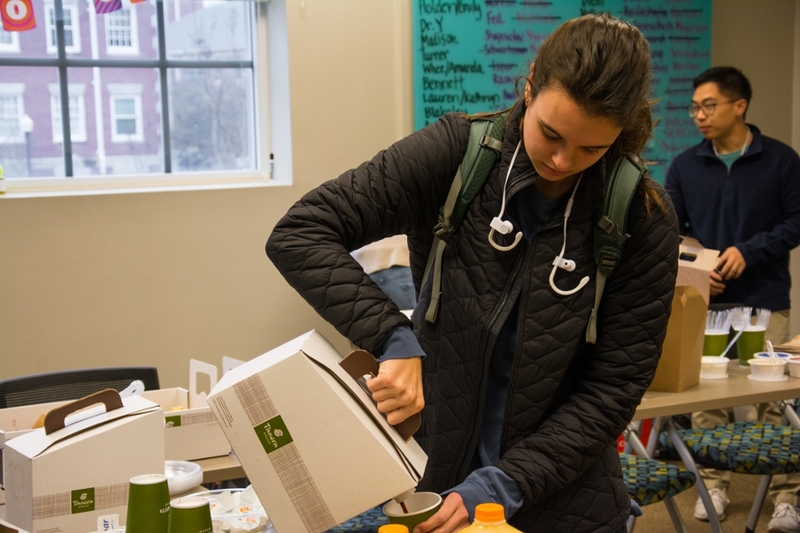 “I saw the post on Instagram and was excited to start my day with a nice breakfast,” shared Kiley Brady, a junior majoring in Biomedical Sciences. Kiley Brady at the COSAM Welcome Back Breakfast.